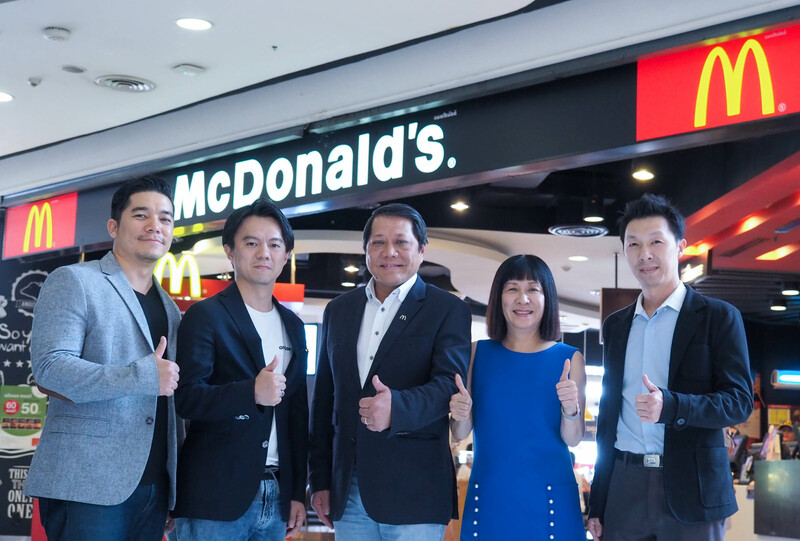 Online payment technology service provider Omise announced today that it has been chosen by McDonald’s Thailand to be its exclusive payments gateway for its website, www.mcdonalds.co.th and the McDelivery Thailand mobile app. With consumers growing embrace of online and especially mobile technologies, purchases through digital channels have rapidly increased. The online and mobile transaction has been growing strongly over the past two years. To continue delivering seamless experiences for the growing number of online customers, McDonald’s required a state-of-the-art digital payments platform that could support the company’s present growth and future ambitions. (from L-R) Ezra Don Harinsut, COO and Co-founder of Omise, Jun Hasegawa, CEO and Founder of Omise, Hester Chew, Chairman of Executive Committee and Chief Executive of McThai Co., Ltd., June Seah, Chief Business Development Officer of Omise and Sorasit Booncharoensukpisarn, Associate Director, Corporate Sponsorship and Alliance of McThai Co., Ltd.
“We continue to raise the bar for our customers with convenience for web and mobile ordering as Omise consolidates the payment by all card issuers with ease.” said Hester Chew, Chairman of Executive Committee & Chief Executive of McThai Co., Ltd.
With Omise, McDonald’s Thailand has revamped the checkout journey for their customers making the process simple, speedy and convenient. Transactions through card payments are now white- labeled, meaning that the entire order and purchase experience is kept on-site or in-app. Consumers no longer have to go through unnecessary page redirections, which considerably reduces the time and hassle for online payment. In addition, Omise also provides McDonald's Thailand the latest PCI compliance regulations through its PCI DSS certified payment services. This means that the customer's sensitive card data is kept secure whilst routing transactions through Omise; allowing frequent buyers to save their card details for their next purchases. “The consumer’s experience begins right when they place the order online, and payments is a critical component of that experience. Offering highly secure, seamless payment options across all platforms and devices is key to delivering a seamless experience for McDonald’s customers.” said Jun Hasegawa, CEO & Founder of Omise. “Omise’s platform provides a smoother consumer journey because of its seamless checkout process which increases conversion rates for businesses. Upon integrating our upcoming OmiseGO payments network, additional forms of payments will be available to be included in the checkout experience, benefitting both customers and merchants alike."